Authorities in Ho Chi Minh City do not encourage the offering of any additional drinking services along a downtown pedestrian street amid complaints of its deterioration into a giant booze hub. Local officials envision Bui Vien Walking Street in District 1 to be more of a tourism destination hospitable to both expats and foreign tourists. But the pedestrian zone has attracted much infamy in recent times, with alcoholic-serving restaurants and bars crowding up the sidewalks and street fights having escalated into a daily occurrence here. A fight erupted at Bui Vien when a Vietnamese actor brawled with a security guard on June 11, 2017. On March 18, 2018, another scuffle broke out between a foreigner and a waiter at a roadside bar. All this has thus unnerved residents and officials alike. “We do not approve of any more beer and alcohol places along Bui Vien but we need more souvenir shops and convenience stores,” Tran The Thuan, chairman of the People’s Committee of District 1, said at a meeting on Thursday. 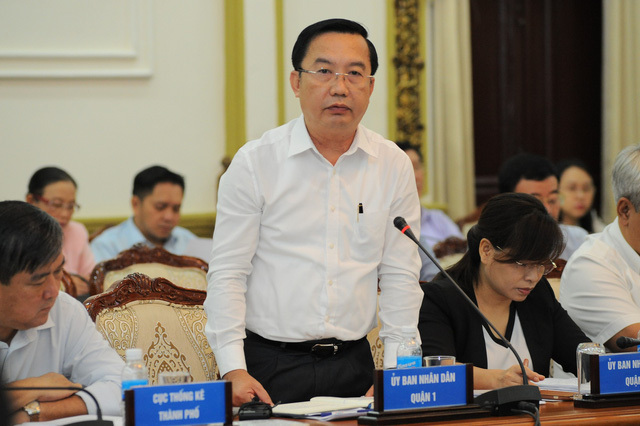 Thuan said that local authorities have started taking ample measures to address the drinking-related problem on the street, including sudden checks on restaurants and bars, compelling their relevant owners and employees to take part in workshops and training sessions, and putting a cap on beverage consumption along the pedestrian street. Two more police forces will be stationed along the street to reinforce order, the chairman said, adding that this is only deemed a precaution, as there have merely been two petty thieveries there in recent times, both of which were quickly dealt with. Bui Vien is a famous street in Pham Ngu Lao Ward, District 1, where there is a vibrant community of expats and foreigners. On April 30, 2017, the street was officially turned into a pedestrian zone, seen as an alluring and must-go tourist attraction.